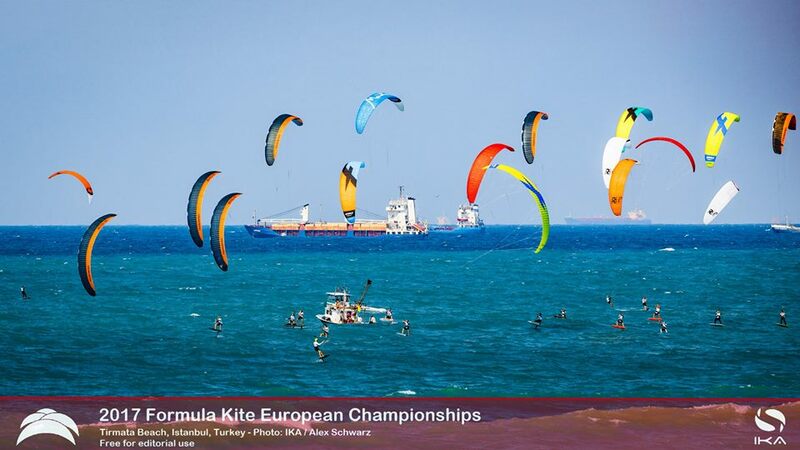 Europeo de Fórmula Kite 2017 Estambul. 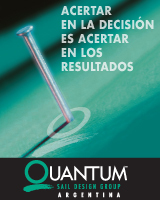 Triunfos para Nico Parlier y Daniela Moroz. 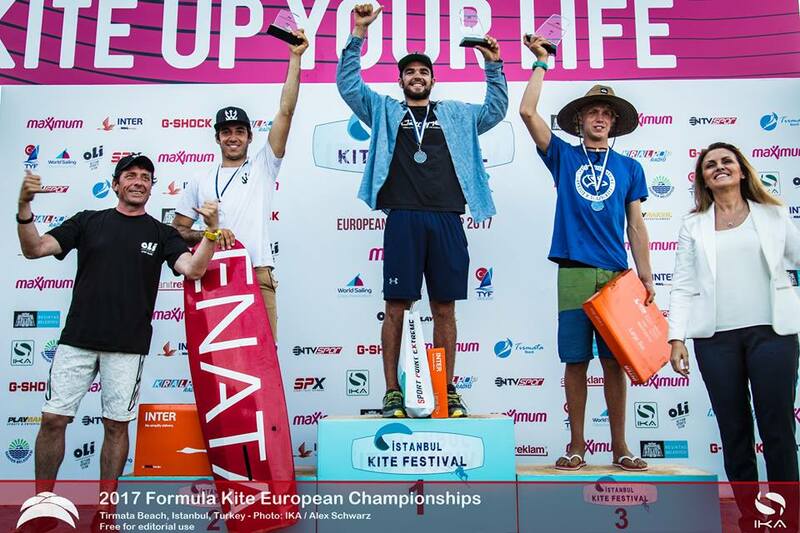 Nico Parlier (FRA, Ozone/Mikes Lab) took the men’s title after neck on neck racing with his french rival Axel Mazella (FRA, Enata) with the lead swapping race by race on the final day in front of Tirmata Beach, Istanbul. The event kicked of last Saturday with the iconic Bosphorus Race – a long distance race over approximately 41 km from Tirmata Beach right into the heart of Istanbul in ideal sailing conditions with 9 knots northerly winds and moderate seas. 29 out of the 36 strong fleet saw the finishing line right in front of Ortaköy Camii Mosque, after having passed all three bridges that connect Europe with Asia. Day two of the championship saw perfect summer holiday weather – with winds never reaching the required 6 knots minimum over the course area, racing was postponed to the next day with a promising forecast for the rest of the week. The qualifying series for the men, originally planned to span over two days, had to be extended to reach 5 races, with only a short window during the day were the seastate allowed racing at all without putting competitor’s and crew’s safety at risk. It all came down to the final day with a mangeable seastate and the race committee keen to catch up with the lost races of the previous days. 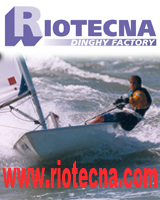 In total, 9 races for each Gold, Silver and Women’s fleet were run before the cut of time at 17:00. 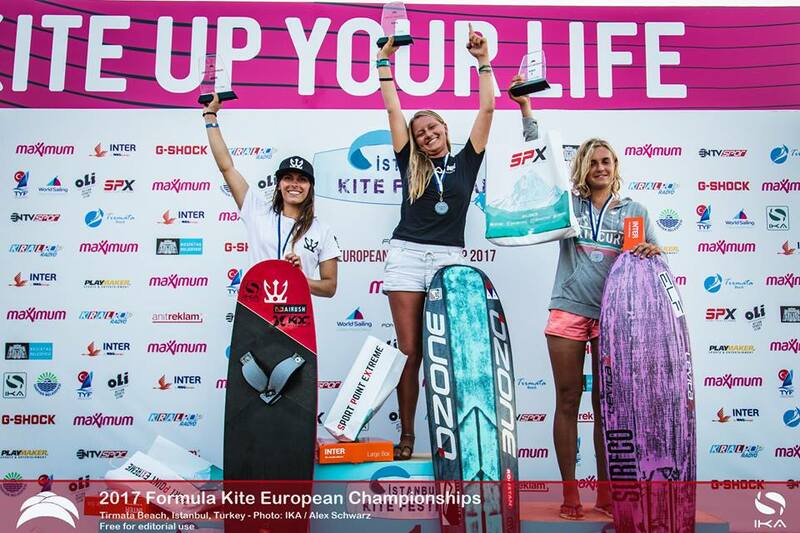 In the women’s fleet, reigning World Champion Daniela Moroz (USA, Ozone/MikesLab) dominated competition from day one, winning the Bosphorus Race and from then on every single race except of one DNF in the 14 race single series, securingher the European crown with a perfect score.